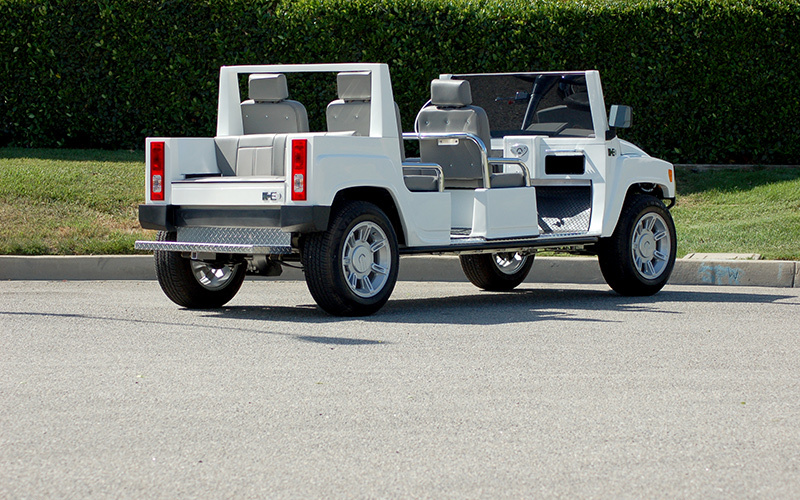 ACG, Inc. has revolutionized the Electric Vehicle Industry by re-inventing the increasingly popular Hummer Limo Golf Car platform from the ground up. 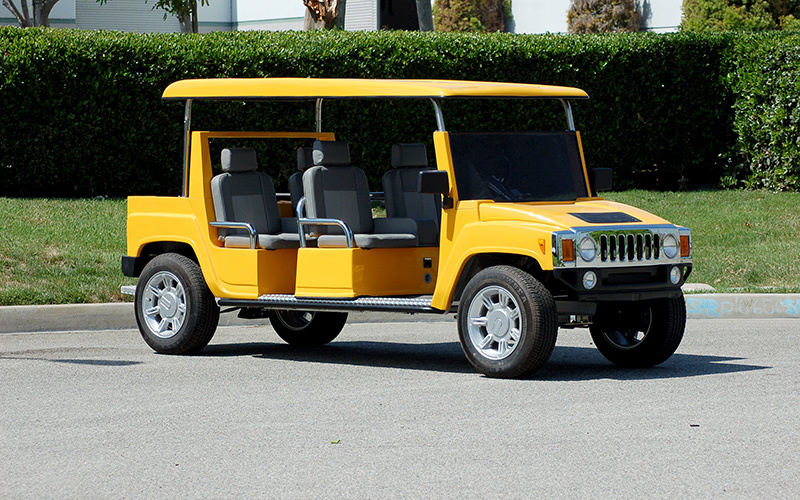 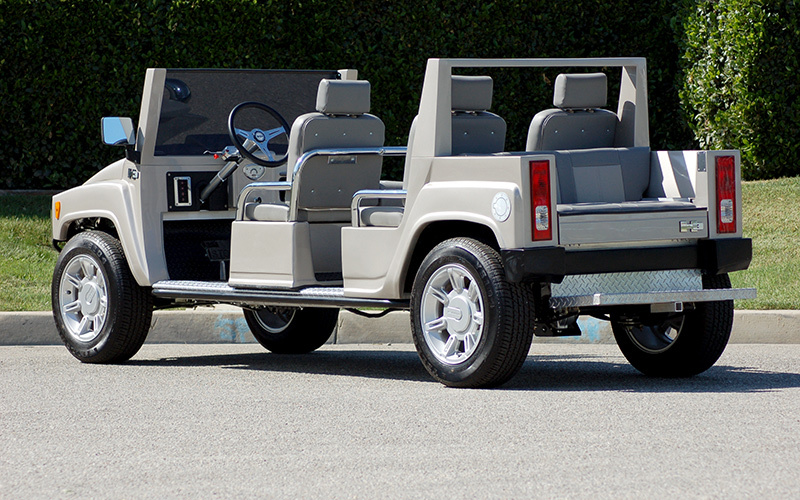 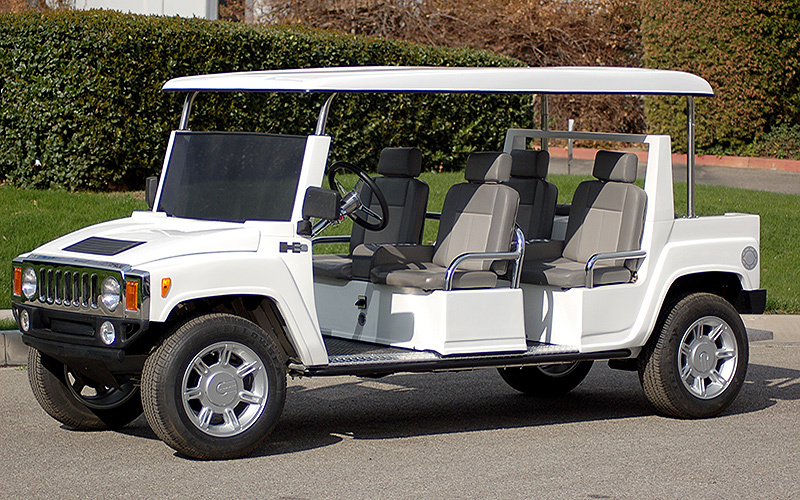 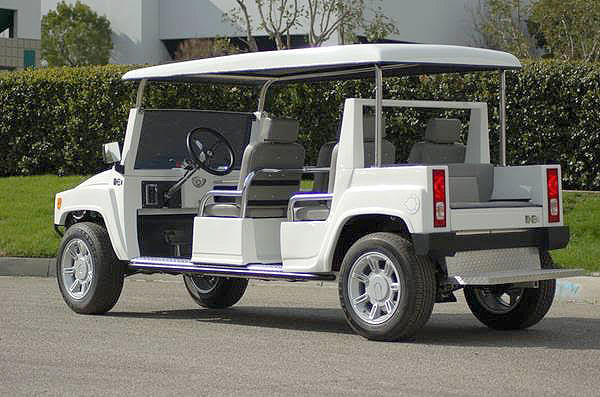 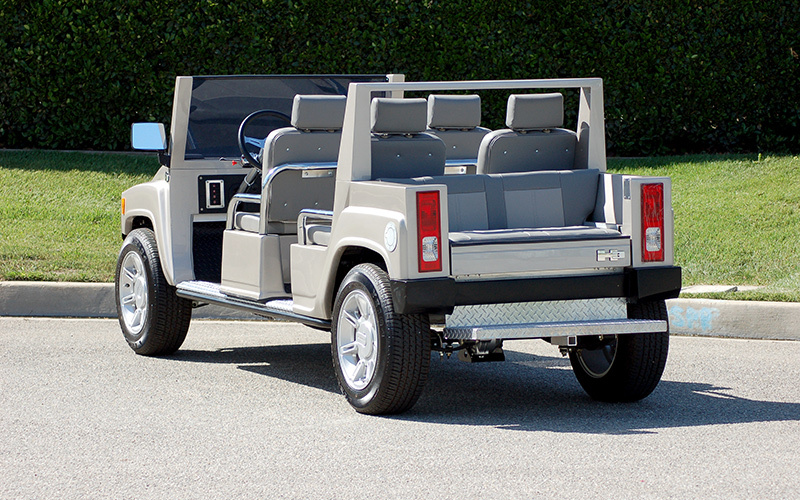 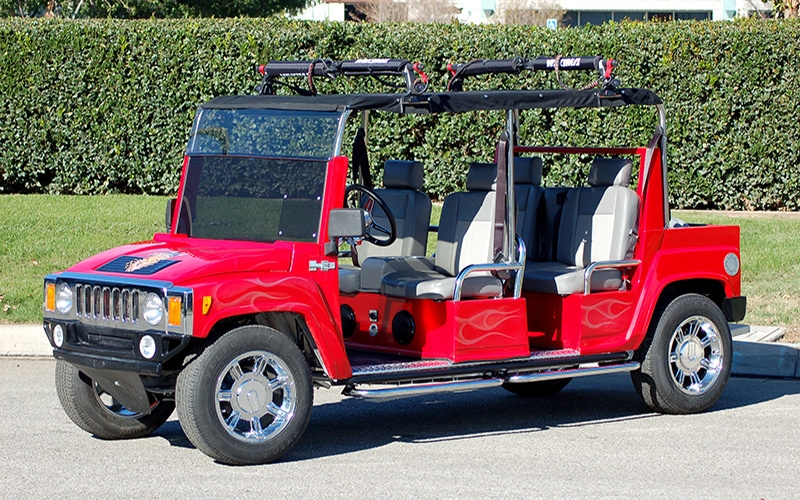 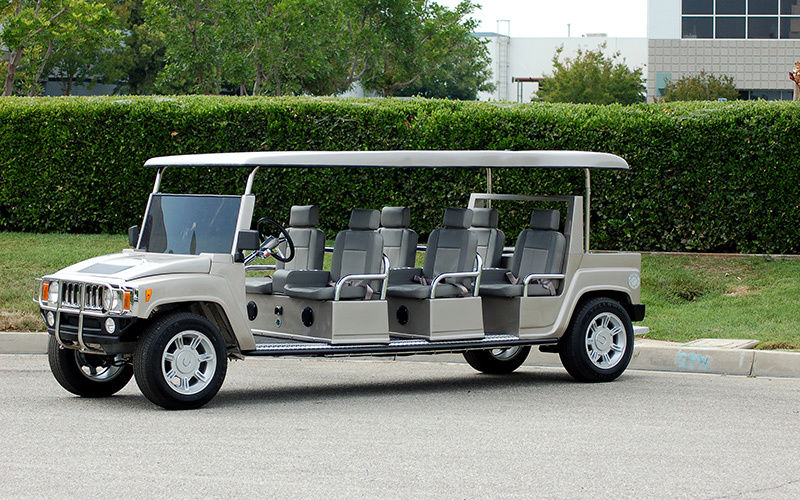 The Hummer Limo Golf Car uses a long lasting 48-volt system to ensure maximum range using industry leading Trojan T-875 batteries managed by the SEVCON computerized controller. 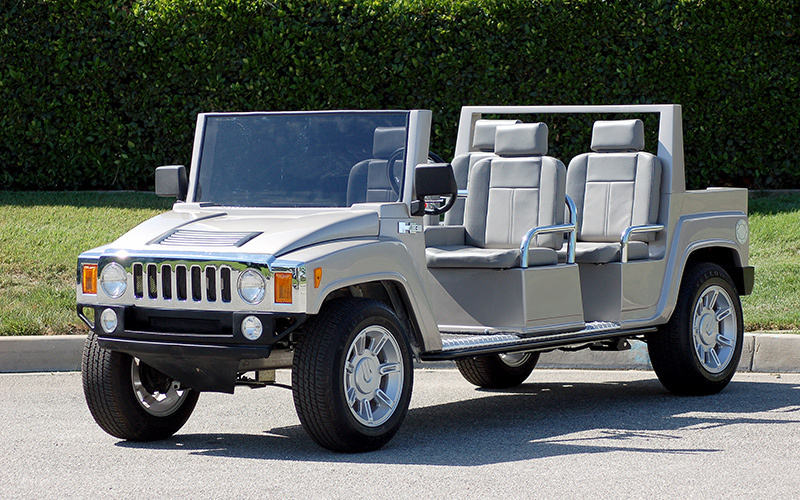 For added safety, the Hummer Limo Golf Car has been outfitted with standard headlights, brake lights, turn signals, horn and is the only golf cart to feature a standard 4-wheel braking system, which includes the use of front wheel hydraulic disk brakes.